There's been a long history of casino and bookmaker sponsorship with football clubs in England, and the amount of sponsorship links nowadays is higher than ever before. It's not just in the Premier League or Europe's top leagues either. Why? Let's take a more in-depth look. It's been well over a decade since the first sponsorship link was established between an online betting company and a football club. Remember Fulham's 2002 UEFA Intertoto Cup win over Bologna? Probably not, that's understandable. Betfair were the sponsors on the front of Fulham shirts that night. For around five years, bwin.party were the main sponsors of Real Madrid, which, in turn, lead them to take a 20% chunk of the market in Spain. They then entered a digital partnership with Manchester United, launching the world's first football club based online casino mobile app, bwin Manchester United Casino, back in 2015. It proved to be a hit with fans, thus giving bwin the edge at the time in the UK market. Genting Casinos was another one. This time it was Aston Villa who took the plunge and accepted sponsorship from a casino. Since their agreement in 2012, Genting Casinos has risen in popularity both as land and an online casino. Before we move on, if you're a fan of online casinos, it's worth mentioning here that Genting Casino have a terrific welcome offer on at the moment, giving you up to £200 extra. Who doesn't like some free bonus money to play with? Casino Countdown, a website dedicated to listing the best casinos and welcome bonuses, has a really good review of Genting Casino. Genting also have a sportsbook if you fancy using some of their promotions to place some football bets instead. Liverpool have also had some dealings with the likes of Paddy Power and ComeOn in the past. Then there's Stoke and bet365, West Ham and Betway, Everton and SportPesa, the list goes on. We could be here all day reeling off the historical links between casinos, bookmakers and football clubs, but what we can take from this is that the deals are lucrative for the football club in that they're paid a decent sum of money, but that the casino or bookmaker also enjoys incredible exposure, which more often than not, has a positive impact on their operations. What's new in the 2018/19 Season? From what started off as one or two betting firms around 15 years ago, has now led to nearly 60 percent of the teams in the Premier League and the Championship being sponsored by casinos and bookmakers. It's a completely different debate whether so many should be allowed as charities deal with the negative consequences of such affiliation, so we'll leave that for another day. However, there's no doubt it's making football clubs a hell of a lot of money, which has, in fact, led to many clubs lowering ticket prices, thus making football more affordable for the fans. That's a pretty long list. We'll no doubt see this figure rise next season to close to 65%, but where does it end? It probably won't unless governing bodies put a ruling in about the type of sponsorship football clubs are allowed to have. If the football clubs are profiting from it and the casinos and bookmakers themselves are also benefiting from the exposure, it looks like it's a win-win situation for the foreseeable future. Why Do Betting Firms Choose the Premier League? It's all about the stats, and they make for astounding reading. Over £1Bn is wagered globally on every single Premier League match. Around 95% of ad breaks on UK TV during a live football match will have at least one betting advertisement. 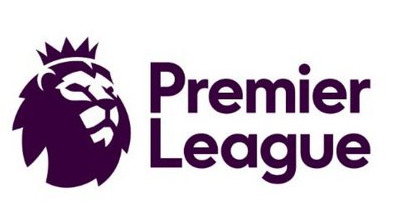 Millions of people watch Premier League football worldwide. Even BBC's Match of The Day attracts a few million views per week. With all this in mind, and the fact that betting on a football match has become the norm for the majority of football fans in the UK, it's no wonder casino, and bookmaker revenues have gone through the roof. The Premier League, and even the Championship nowadays, is a gold mine for both casinos, bookmakers, and football clubs as they link up with each other to make themselves even more money than the billions of pounds it already generates. For now, there's no slowing down the football club and betting firm sponsorship, but one has to wonder where the endpoint is as more youngsters are exposed to betting, which is drawing concerns from many across the globe.